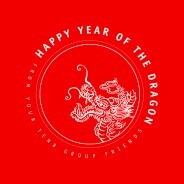 May this year of the Dragon bring you much success and happiness! Gong Xi Fa Ca! “wishing you prosperity” in Mandarin. The first day of the Chinese New Year – began at midnight today, January 23, 2012 – is the most important of Chinese holidays, celebrated by billions in China, and by millions of ethnic Chinese around the world. It’s a celebration that lasts for 15 days, culminating with the Lantern Festival. The Dragon is larger than life and its appearance means that big things are to come. The Year of the Dragon is a flowing river, not a stagnant lake, so things happen quickly earlier in the year. The Dragon marks progression, perseverance and auspiciousness. It may also bring about unpredictable events.